Toy R US INC. is one of the best toy and baby retail company in the world. They have more than 780 international stores in 37 countries. And they also offer Baby registry program with lots of benefits. Before choosing any registry it is really important to compare and review their benefits according to your need. Most of the benefits are almost same with all registry but some benefits are unique and not available easily. So it becomes important to check which one is best for our baby. There are many baby registry websites are available but only a few of them are providing real benefits. Review the Best baby registry websites and figure out the best registry for your baby. Babies R US is also one of the top registries which providing benefits to millions of customers in across U.S. Not only discounts but you also get a consultation with expert which helps you to decide what you should or shouldn’t buy for your baby. 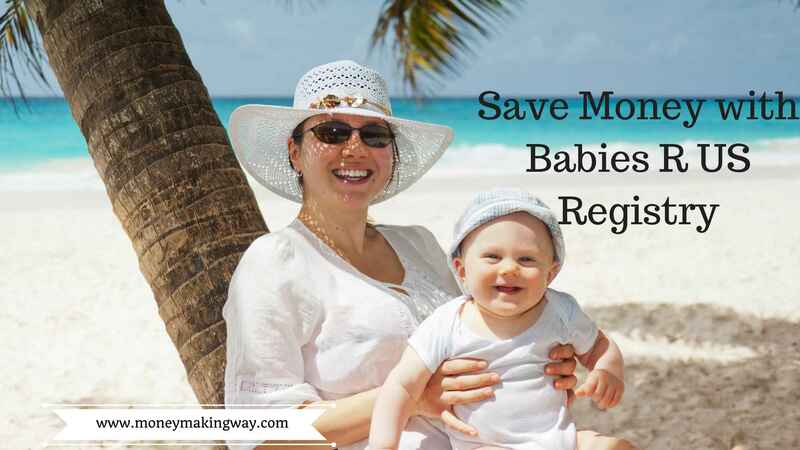 How to Enroll with Babies R US Registry? In order to register visit their website and click on create Registry. A form will open where you need to provide the personal details. Like the First name, last name, email id, mailing address, contact number and Baby Arrival date. After this, you need to provide few more additional info like is this your first baby? would like to subscribe their newsletter, and do you want your registry to be private or public? Now click on submit and your account registration is done. And the first thing you would find is your product checklist. As soon as you are registered you will find few notifications in your top right account. Which will let you know about parenting classes that are going to be held nearby your area. It is the first baby then these classes could be really helpful for you and your baby. You will also find Baby Registry appointment tab. Where an expert will have one to one session with you and will help you to create the best registry. You will receive 10% cashback on all purchases made through the registry and there is no limit. Let your friends and family know about your registry and earn more. More gifts you will receive more opportunity to earn. 5% on first $300 after that 10% on everything above that. You will receive your gift card and total earning details via email after 12 weeks of your baby expected arrival date. Make an in-store appointment with expert and get one to one advice and guidance. Consultation not only helps you to build your registry but also help you to decide what is good for your baby. Now the registry consultation trend is increasing people are more concerned about what it is important for their baby and registry. All purchases above $29 are eligible for free shipping and this is applicable for all including friends and family. This is the common feature that you will find with almost all registries. If you find an identical item on a different website with the lower rate. You can claim for the difference amount. All you need to do is to visit their store and show them the printed add with the lower price. You can return items up to 1 year from its purchase date without any hassle or question. But please ensure the item should be in good condition with original packaging. This is the best for both parents and their babies. You get the opportunity to meet with other parents which helps you to learn how you can live a smooth life with your baby. They also organized birthday parties and fun activities in these events. So it is really a great feature of this the registry. Now the complete access of the registry in the palm of your hand. You can access and manage registry through their mobile App. You can’t have access to your Laptop and desktop all the time whereas mobile is convenient and easy to carry. If you have any question related to registry or items you can directly visit the store and meet their experts. They have many experts basis on categories so you can choose best according to your requirement. The baby registry can provide some important benefits like what is best for our baby, discounts on our products and all the essential items under one roof. But every registry may not be beneficial for everyone so it is really important to review their features, policy, and guidelines. So that we can get the better deal.